Contents: Tap a Tune Piano, Tap a Tune Drum and Maracas! Little Tikes Melody Maker Musical Gift Set is a great introduction to music and sounds. 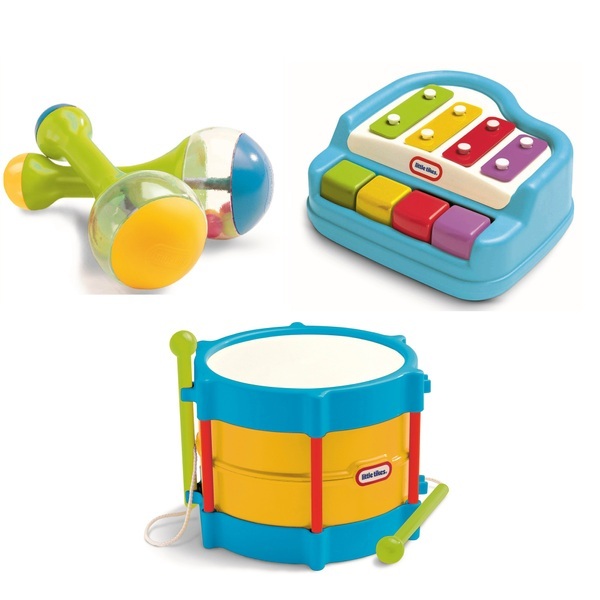 With Little Tikes Melody Maker Musical Gift Set Set you can choose from a choice of instruments to play with. Will the tap-a-tune piano, the drum or the pair of maracas become your child’s favourite. All of these musical instruments are brightly coloured and are chunky making them ideal for little hands to hold. This fun set includes a tap-a-tune piano, drum and a pair of maracas, all chunky colorful and robust, perfect for small hands! EU Warning: Adult supervision required.